What a bright and cheery card! 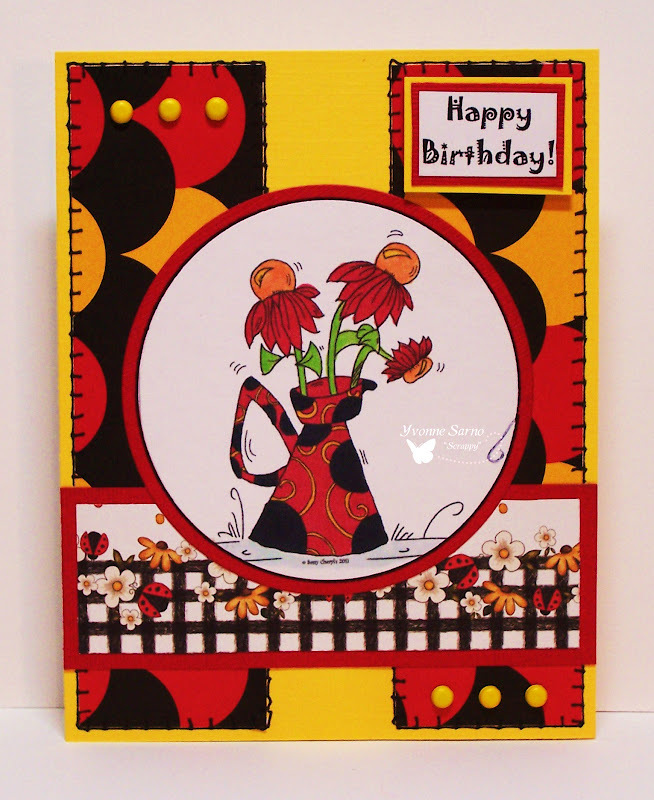 Thanks for joining Die Cuttin' Divas this week--Pat N.
What a fun card. Love the bright & bold colors. Thanks for joining in with the Truly Scrumptious' Anything Goes Challenge. I agree really fantastic job , love the fence image below the main stamp. Thanks for joining with us at My Heart Pieces Hope to see you again. O I really like those strong colors! Well done, preety card! Thanks for joining in on our challenge at Crafty Ribbons this time and welcome back tomorrow for a new challenge! Beautiful creation! Love the colors you used. Good luck in the challenges. Cute card!!!!! Thank you for joining My Heart Pieces challenge this week! Hope to see you again next week! This is so fabulously fun with the bold bright colors. I love it! Thanks so much for joining us at My Heart Pieces. A beautiful card... these colours are FABULOUS! Thank you for sharing with us at the My Heart Pieces challenge! such a bright and happy card, has certainly brought a smile to my face. Check out whats going on in the Craft Room! Annabella was in the TOP 3!! Go check out this weeks challenge! Awesome people who checked out my blog! I won Belle of the Belli! Check out Cuddly Buddly Challenges! Play along with 'Get Cricky' Challenges! Find out whats inside The Craft Room!! I won at Patties Creations! Woohoo! I was in the Top 3 at Stamp Fairy! I won Top 3 at One Stop Craft Challenge! I Won at Creative Inspirations! Woot Woot! Check it out! They featured my Bugaboo Stamps Card at Inspire me Friday! I won at 2 Sisters! Do you know how to party? Come and join the fun in The Shabby Tea Room! Proud to be a Groupei! Play along with the Poobahs! Check out Crafty Ann's NEW challenge blog HERE!!! 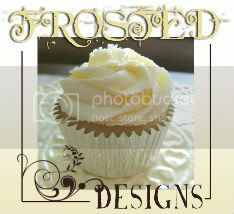 I'm in the TOP 3 at Frosted Designs! I won at One Stitch at a Time!! Click here to shop OSAAT! I won at If the Shoe Fits! I was in the TOP 3 at Cards for Men! I won Think Ink #17! Check out the latest Think Ink Challenge! I won TWICE at Shirleys2Girlz! I WON at Incy Wincy Designs! I wanna be a drunken stamper! 5-31 ObG Thursday at Bugaboo Stamps! 5-26 New Color Challenge at Bugaboo Stamps! 5-19 New Challenge at One Stop Crafts! 5-13 Bugaboo Stamps is on the mooooove!!! 5-13 Bugaboo Stamps sponsors Sentimental Sunday! 5-11 Freebie Friday at Bugaboo Stamps! 5-5 New Challenge at One Stop Crafts Challenge! 5-4 Freebie Friday at Bugaboo Stamps!